On 25 March, Xu Zhangrun was informed that, apart from the suspension of his teaching duties and research work, he would be subjected to the ministrations of an ‘Investigation Team’ 審查組 shěnchá zǔ, which he dubbed a ‘Special Case Investigation Group’ 專案組 zhuān’àn zǔ (short for 專案審查小組 zhuān’àn shěnchá xiǎozǔ), set up to establish the basis for further disciplinary or legal action. Henceforth, he would be required to make himself available to assist the ‘task force’ in its inquiries. (Special Case or Investigation Groups — thuggish mechanisms working at the behest of the Party and its security organs — have a notorious history. In the past, they were used with devastating effect to amass material on, interrogate and persecute prominent individuals. To quote Mao Zedong writing in a different context, there is nothing about these groups that is ‘temperate, kind, courteous, restrained and magnanimous.’ 溫良恭儉讓). For an account of these developments, see Chris Buckley, ‘A Chinese Law Professor Criticized Xi. Now He’s Been Suspended’, New York Times, 26 March 2019. On 26 March, the Chinese-language edition of the Financial Times published the following essay by Guo Yuhua (郭於華, 1956-), herself a prominent scholar in the Sociology Department of Tsinghua University (see Ian Johnson, ‘Ruling Through Ritual’: An Interview with Guo Yuhua, New York Review of Books, 18 June 2018). Guo’s title — ‘When Do Scholars Not Have Something to Say?’ 哪有學者不表達? — is a reference to Xu Zhangrun’s earlier essay 哪有先生不說話 ? 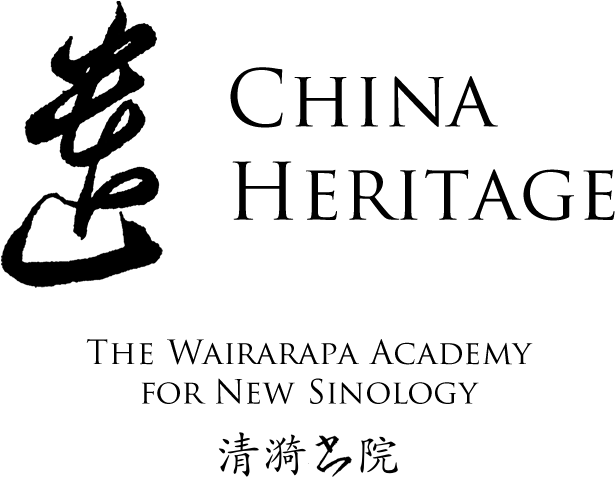 !, published in an annotated bilingual version by China Heritage as ‘And Teachers, Then? They Just Do Their Thing!’ (China Heritage, 10 November 2018). The text of Guo Yuhua’s essay is reproduced as it first appeared, despite our distaste for the ‘Crippled Characters’ 殘體字 of the People’s Republic. This bilingual translation is archived both in The Best China and the Xu Zhangrun 許章潤 sections of China Heritage, under Projects. Chris Buckley, ‘A Chinese Law Professor Criticized Xi. Now He’s Been Suspended’, New York Times, 26 March 2019. Tsinghua University’s administrators have worked out how to they are going to handle Professor Xu Zhangrun — my friend, my colleague, my paragon and a man rightly regarded as the pride of this university. It is now known that they will delay decisive action against him until there’s been a formal investigation. In the meantime, Zhangrun is suspended from all teaching duties, forbidden from pursuing any research work or writing, prevented from taking on new research students and relieved of all other duties (whatever that is supposed to mean).